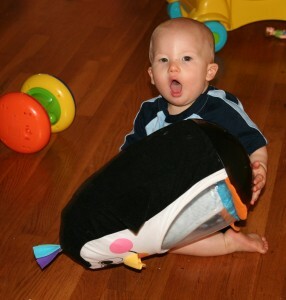 Isn’t the penguin cute? 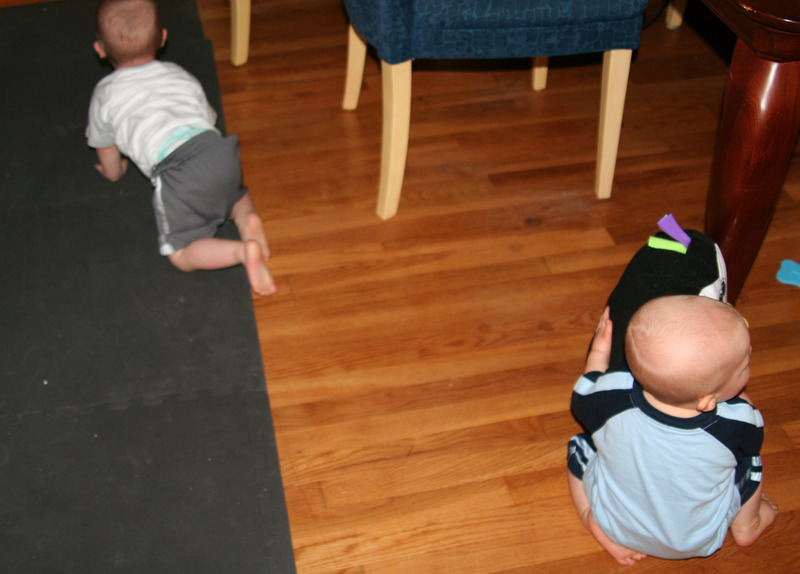 It is one of those toys with the weighted bottom so when the boys knock it down, it pops back up. It also plays music when you hit it. 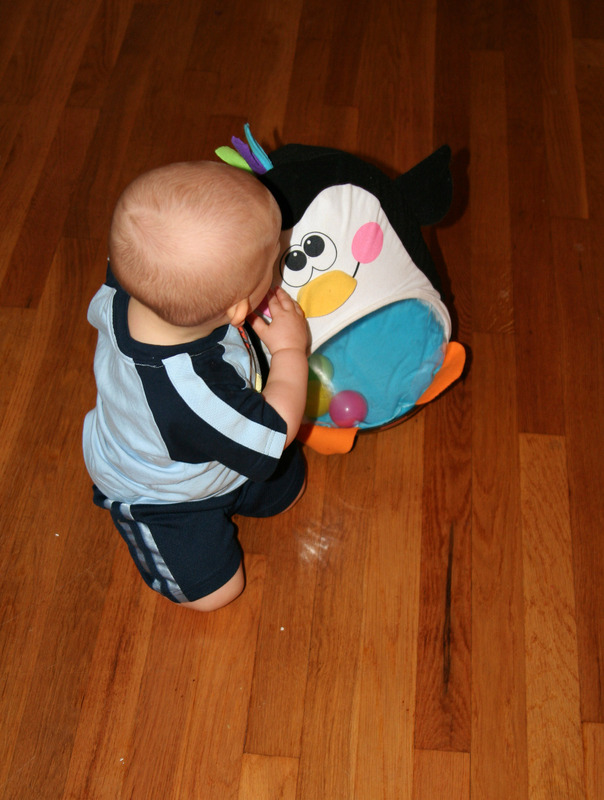 Ruslan loves it and it was one of the first toys he carried around the room as he was first starting to walk. 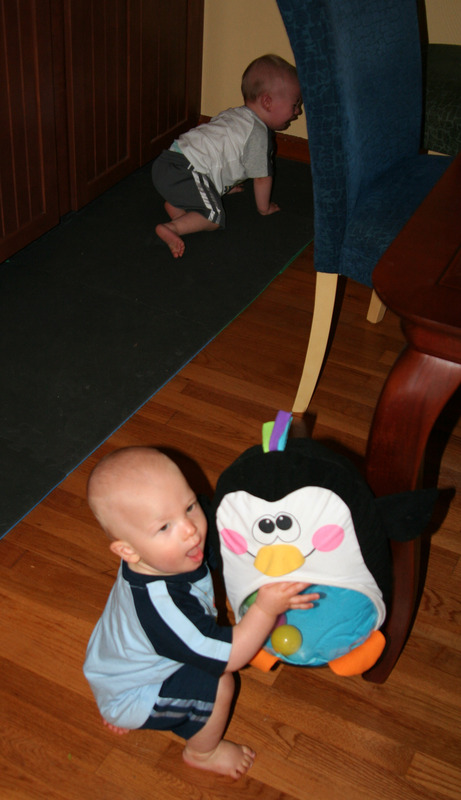 Wyatt used to play with the penguin as well, but he has developed a sudden, intense fear of this toy. The first time I saw Wyatt react badly, Ruslan was carrying it toward him and Wyatt started screaming and scrambled on to my lap crying and hiding his face. Once I removed the penguin, he stopped crying. Another day he heard the music from across the room and wanted to be picked up right away. 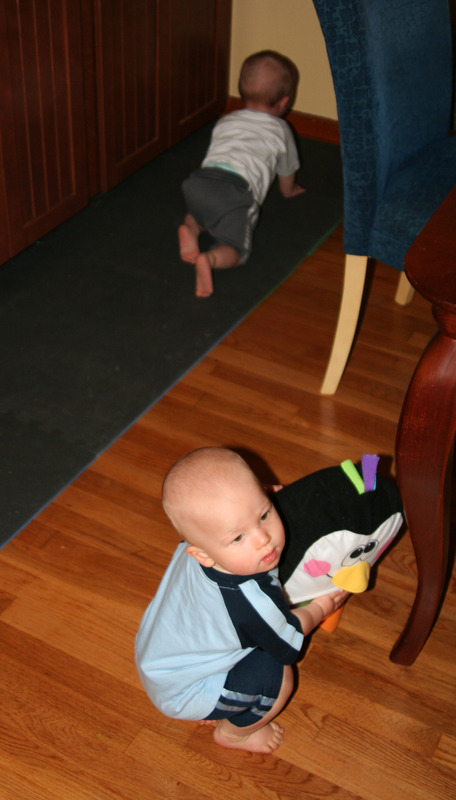 And on this occasion Ruslan was happily playing with the penguin and when Wyatt rapidly crawled away to escape he trapped himself in a corner and was very upset. So we keep the penguin behind the fireplace gate and for now it only comes out when Wyatt is napping and Ruslan is awake. Maybe the penguin is too clownlike – some people think clowns are cute and others think they are just plain scary. Or he doesn’t like that the penguin bounces back when he pushes it away – his favorite actvity is throwing toys and watching them fall or roll away. Or maybe it is like the curtains from when I was little – my mom saw happy teddy bears, but I thought they were scary. 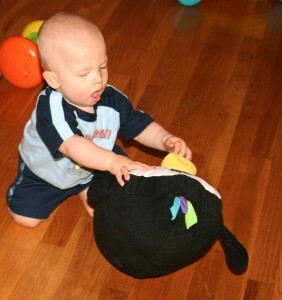 Reminds me of Hugsy – Joey’s stuffed animal on Friends.